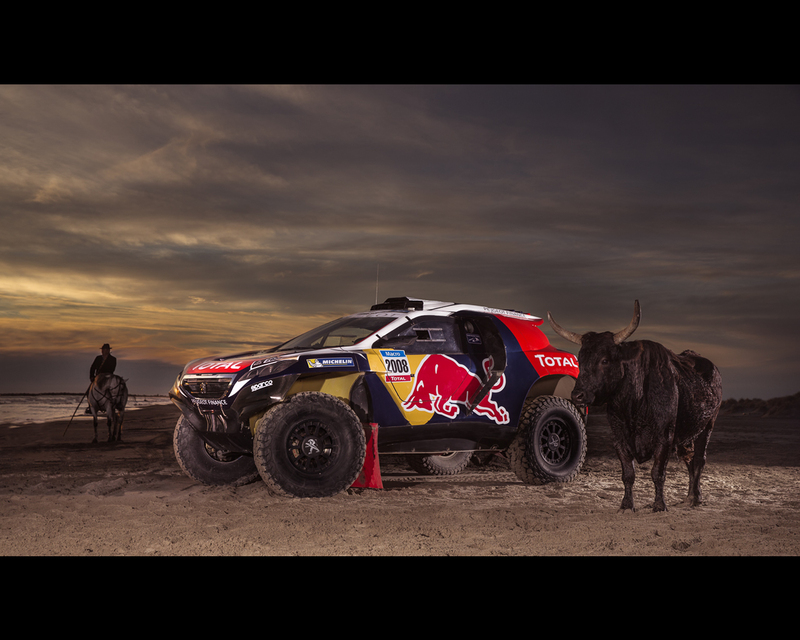 Peugeot, Red Bull and Total have decided to join forces to contest the 2015 Dakar. The car that will spearhead the team’s challenge has finally broken cover. 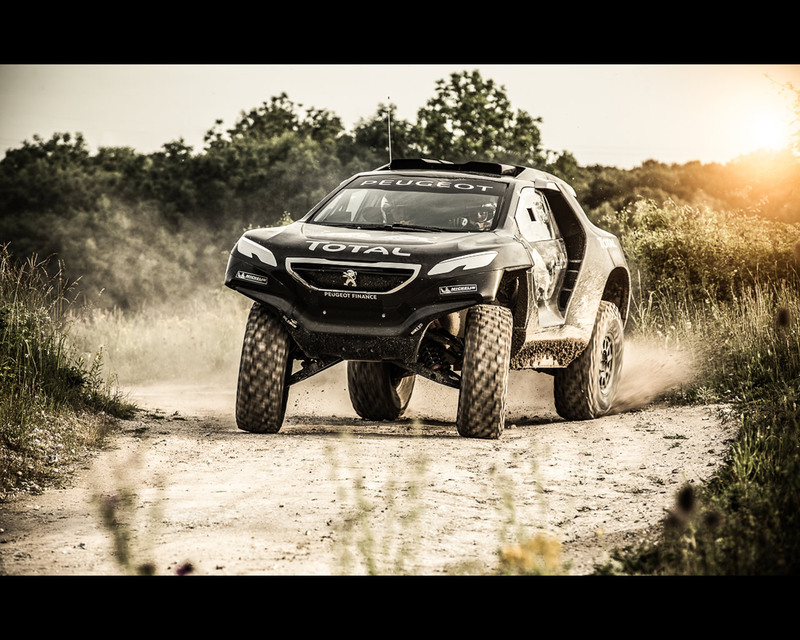 The Peugeot 2008 DKR shares an unmistakable family resemblance with Peugeot’s road-going crossover, albeit with more muscular forms and more imposing overall proportions that have been honed to meet the challenge that lays ahead. 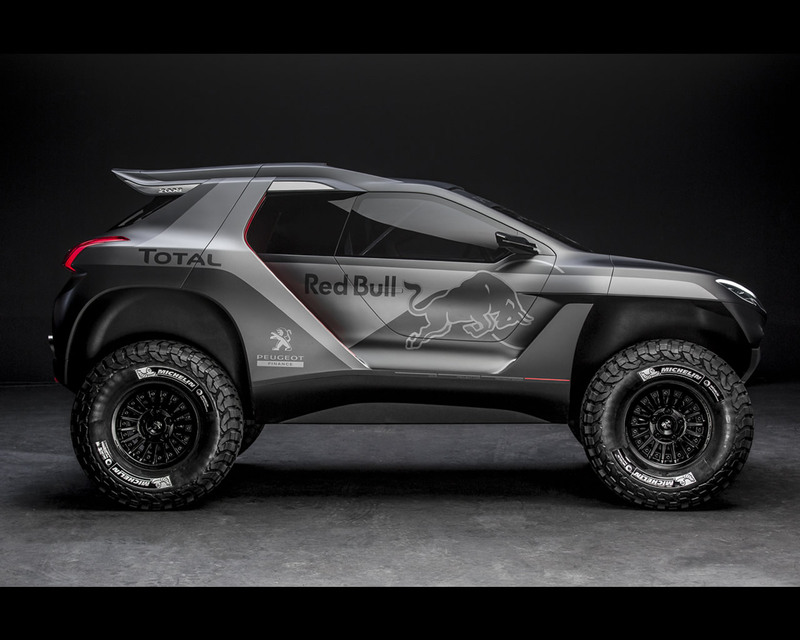 It is behind the wheel of this purpose-designed machine that Carlos Sainz and Cyril Despres will defend the colours of Team Peugeot Red Bull Total on 2015 January’s Dakar. 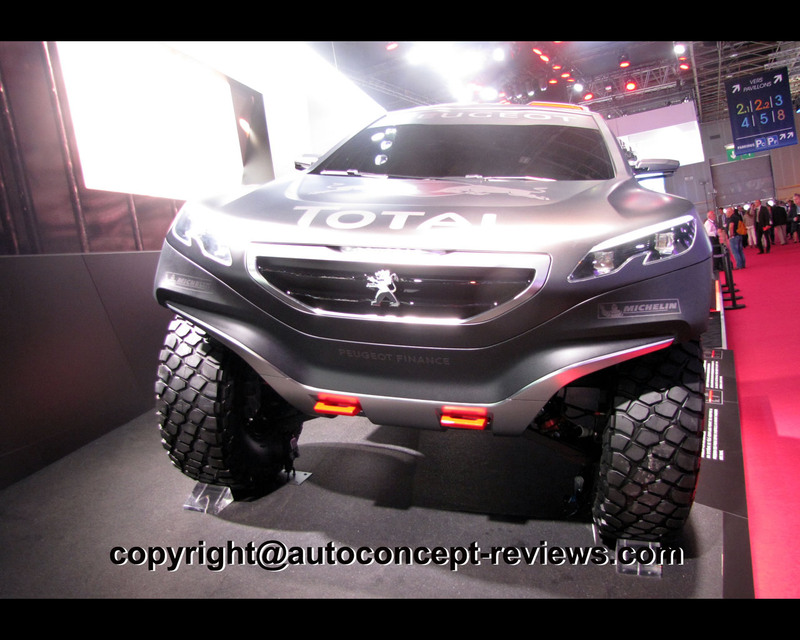 Indeed, Peugeot Sport’s design team had to answer one particularly fundamental question at a very early stage concerning the new beast’s transmission: four-wheel or two-wheel drive? The decision effectively influenced the car’s design in two key areas: “We carried out an in-depth analysis of what already existed in the world of cross-country rallying and weighed up the benefits of the different solutions. In the end, we opted for an approach that was quite different to that of the competition. Given the off-road capability of two-wheel drive transmission and its ability to run on sand, that’s the choice we ultimately went for. It enabled us to fit bigger wheels and also to benefit from more suspension travel.” The 2008 DKR consequently sits on 37-inch diameter Michelin tyres (almost 94cm)! 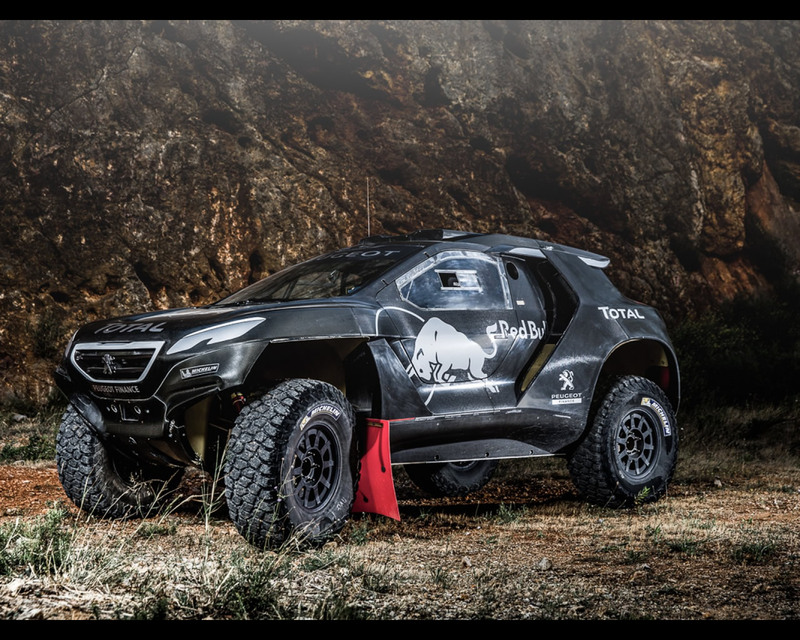 The Team Peugeot-Total has finally lifted the lid on the inner workings of this muscular beast. Dunes, mountains, dry river beds, canyons, furnace-like temperatures, salt deserts, rough terrain, fesh-fesh sand… These are just some of the joys that await the 2008 DKR on the next Dakar Rally. 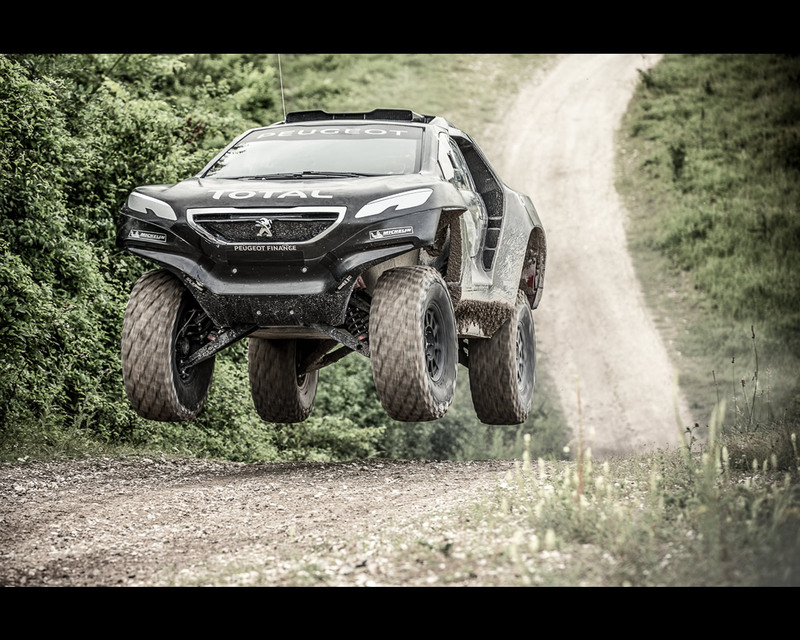 To tackle this tremendous challenge, Team Peugeot-Total has followed a very daring technical path: “Much like we did at the Le Mans 24 Hours by electing to run a closed-cockpit car, we decided to adopt an innovative concept,” reveals Peugeot Sport Director Bruno Famin. “When it comes to cross-country rallying, the biggest question is whether to run with four-wheel-drive or just two. 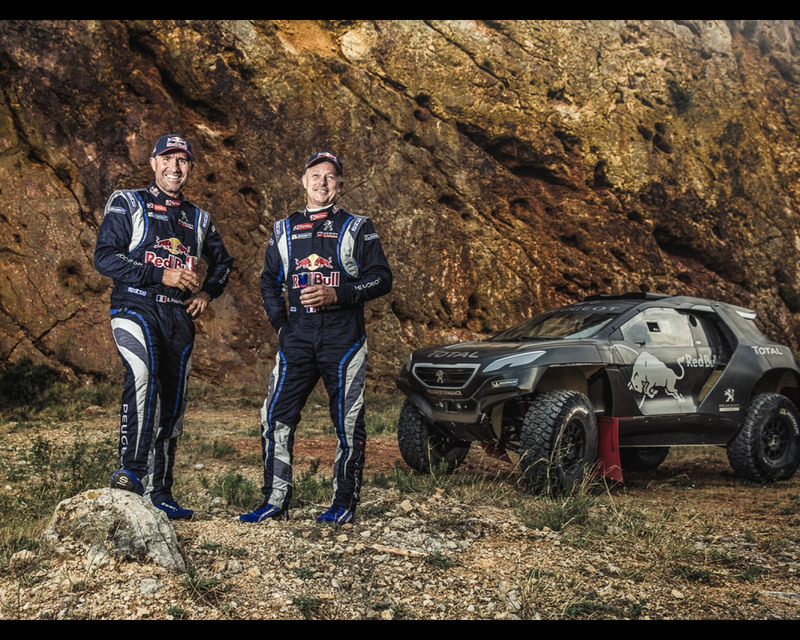 After a detailed study of the question, we decided to go for two-wheel drive transmission which presents a number of interesting benefits.” This bold decision will enable the team to try to become the first to win the Dakar with two-wheel drive and diesel engine. 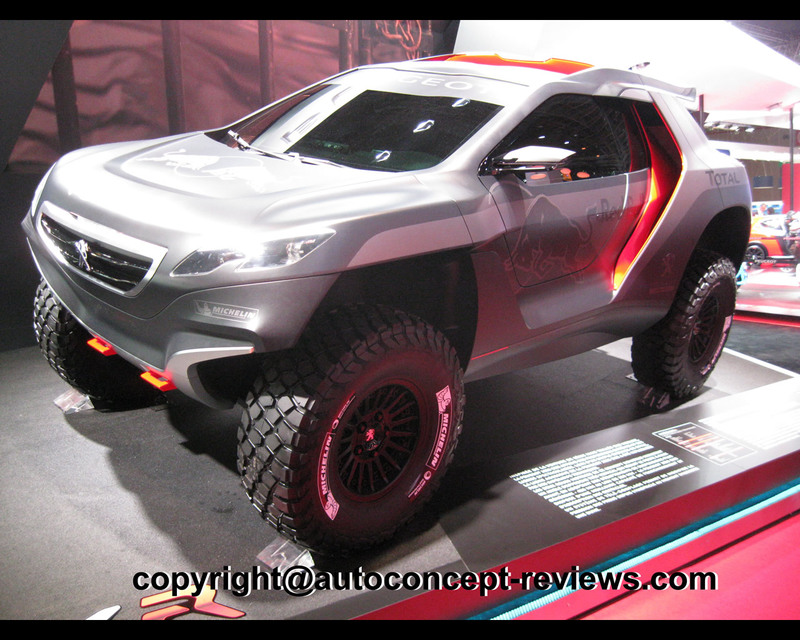 In order to balance out the chances of the different solutions, the rules in effect compensate the inherent advantage of 4x4 vehicles by allowing two-wheel-drive machinery to benefit from certain advantages. Technical project manager Jean-Christophe Pallier summarises them: “In motorsport, weight is counter to performance. However, in the case of cross-country rallying, two-wheel drive cars are allowed to be significantly lighter than 4x4s. They are also entitled to use bigger wheels which provide them with a certain advantage when it comes to coping with the many pitfalls associated with this type of terrain. On top of that, they allow us to minimise the front overhang. The 2008 DKR can practically climb vertical walls! And that’s not all! Longer suspension travel – 460mm instead of 250mm – enhances its ability over dunes and when soaking up uneven ground. That’s a key asset on an event like the Dakar!” Another advantage of the larger wheel size is a system that enables the tyre pressures to be adjusted remotely from inside the cockpit upon entering a zone of dunes – a tactic that could yield a gain of precious minutes! 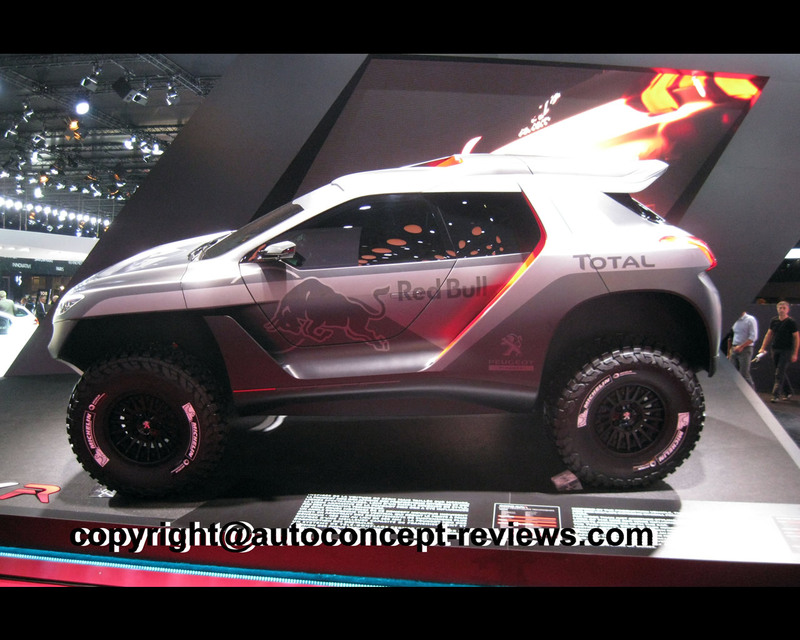 Beyond the conviction – expressed by Red Bull for the last two years – that two-wheel- drive vehicles possess attractive qualities that shine through even across the most inhospitable of terrains, this technical approach also makes sense for the French manufacturer, as Bruno Famin explains: “Given that the production 2008 is a two-wheel- drive crossover equipped with Grip Control technology – which enables it to go just about anywhere – it is only right that the 2008 DKR derivative should similarly take on the challenges of the Dakar with just two-wheel-drive.” So all that now remains is to let it off the leash!